Preparing for overseas study requires a great deal of planning. As you are planning to arrive, live and study in Australia, you may have a lot of questions on your mind such as how much money to bring, what to pack, Australian customs and quarantine laws, schooling information for your children (if you are planning to arrive with your family) and many more. We understand that settling into a new environment requires adequate information and knowledge. 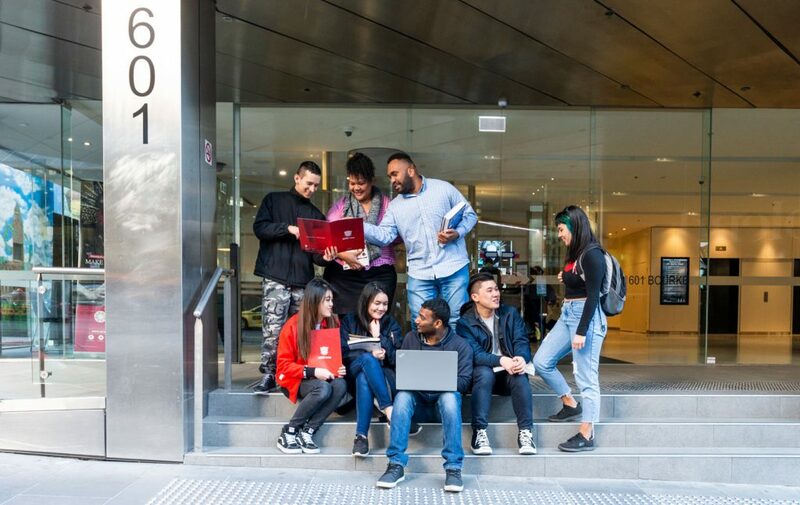 Our International Student Guide will help you to prepare for your studies in Australia and to settle into your new environment. International Student Guide is provided to all newly enrolled off-shore students on confirmation of enrolment. Apply for a passport, and make sure the passport is valid for all of the time you plan to be abroad. Arrange for a student visa. Make contact with the Australian educational institution where you plan to study to confirm your enrolment and start date and check if your institution or college has an airport greeting service. Arrange for immunisations and medications from your doctor. Apply for a credit card and/or arrange for sufficient funds to be available for you to access in Australia. Confirm overseas access to your funds with your bank. Make travel arrangements, including travel insurance. Advise your educational institution of your travel details. Arrange accommodation for at least your first week in Australia, if not longer. Arrange transport from the airport to your accommodation, and change enough currency into Australian dollars before you leave so that you can catch a taxi or make a phone call in the event of an emergency. 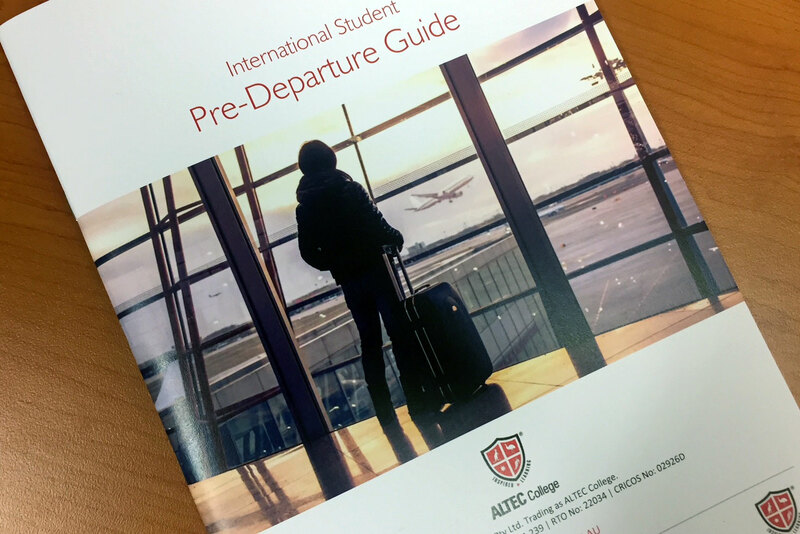 When packing your bags, make sure you include the name and contact details of your institution’s international representative. Reference letters for potential employers/landlord. Before you leave, make copies of all your documents and leave them with someone at home who can send them on to you if the originals get lost. When flying, keep all your documents in your carry-on luggage. You have just arrived in Australia and cannot wait to get outside and get started on the next leg of your journey. But when you first arrive, you will be required to make your way through Australian immigration. An immigration officer will ask to see your completed incoming passenger card (given to you on the plane) and your passport. The immigration officer will check your documents and may ask you a few questions about your planned stay in Australia. You may also have to show your Confirmation of Enrolment. Once you have cleared the immigration checkpoint you will enter the baggage hall where you can claim your luggage and proceed to Customs and baggage examination. Regardless of the channel you follow, your luggage, including your hand luggage, may be x-rayed inspected or checked by a detector dog team. If you do not have anything to declare, follow the green channel. If you do have something to declare, follow the red channel. As you go through the red channel of Customs, an official will ask you to open your luggage so that it can be inspected. If the Customs official decides that an item is not quarantined, you will be allowed to keep it and move through the Customs checkpoint. If the item is quarantined, it will either be confiscated and destroyed, or held for decontamination and returned to you at a later date. Australia has strict quarantine laws so it is important to declare all the items you are carrying on the incoming passenger card. Those who do not declare honestly risk fines and prosecution. The Department of Immigration and Citizenship (DIBP) is the Australian Government department that manages everything relating to student visas. It is very important that you are fully aware of, and meet, all the conditions of your visa. Visa conditions are set out in the letter of approval sent with a visa or on a visa label. There may be special conditions for students on scholarships, so if you are on a scholarship, it is important to read and understand all these conditions. Unfortunately, a number of students abuse the law each year. For example, they may work longer hours than permitted by their visa or they may overstay their visa. Breaking these conditions can cause a visa to be cancelled and this has serious consequences: under the law, a student may be required to leave Australia and not allowed to return for three years after the visa is cancelled. If your circumstances change and you want to change your course or provider, or you wish to stay in Australia longer, contact the nearest Department of Immigration and Citizenship (DIBP) office for advice on how to make these arrangements. It is also important to ensure your visa does not expire while you are in Australia. If you remain in Australia for more than 28 days after your student visa expires without obtaining a new one, you may not be allowed to return for three years. If your student visa expires before you have finished your course of study, or if you wish undertake further study, you should contact your nearest Australian visa office. You can only extend your stay in Australia if your do not have a “No Further Stay” condition on your current student visa. For further information, go to www.immi.gov.au and select “Students” from the “Visa, Immigration and Refugees” menu. Australia has a special system of health cover for international students called Overseas Student Health Cover (OSHC). You will need to buy OSHC before you come to Australia to cover you from when you arrive. The Department of Immigration and Citizenship requires you to maintain OSHC for the duration of your time on a student visa in Australia. Visit Study Australia for detailed information on the above.